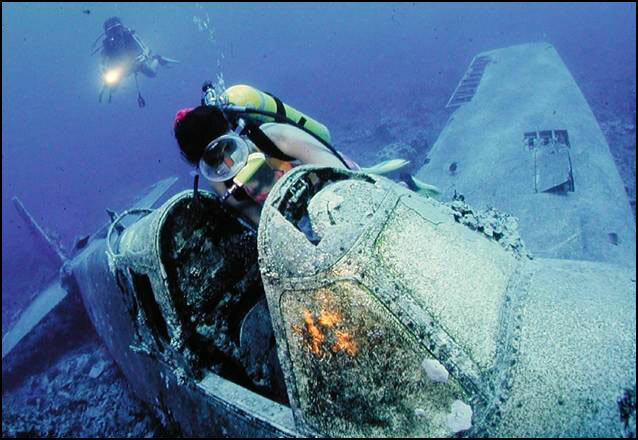 Gizo is renowned for having the most diverse and exciting diving to be found anywhere in the world: from World War II wrecks to numerous offshore reefs, spectacular coral formations, plummeting walls, manta rays and abundant marine life. 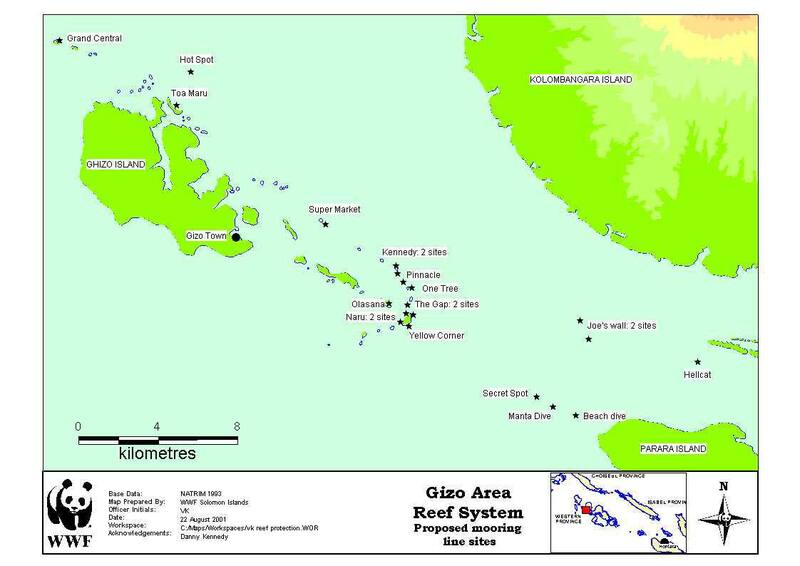 Click here to view a map of the where the dive sites are located around Gizo. 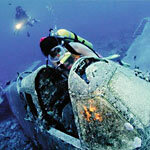 A twenty minute boat ride from Gizo is one of the South Pacific's most popular diveable WWII shipwrecks. 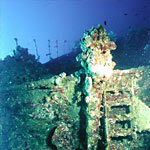 This reasonably intact Japanese transport ship of some 140m (450') length is lying on its starboard site. It was run aground after suffering damage from an American attack. The dive starts at an easy 7 metres and slants to 37 metres. 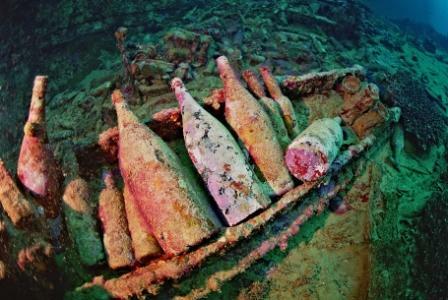 Interesting artefacts adorn this vessel that sunk before it could be unloaded. Some of the trinkets include saki bottles, medical supplies, office equipment and rounds of ammunition. The larger objects include bombs, a motorbike, a type 21 tank. 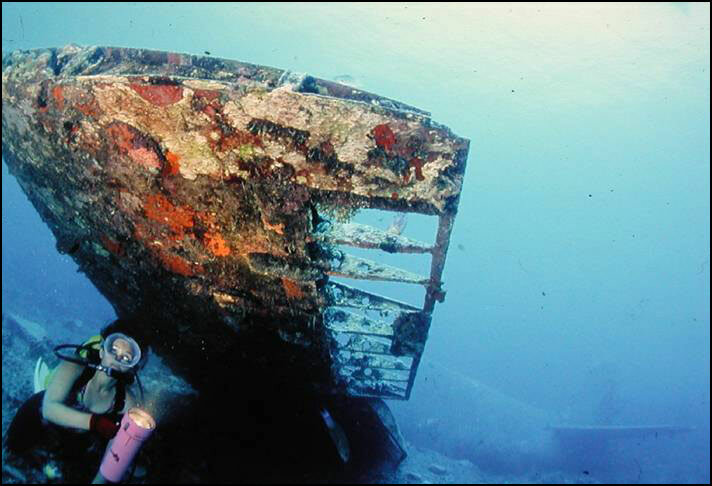 For the more experienced divers a guided tour inside the wreck to many rooms still easily accesible, including the work shop, crew quarters, and dining area. 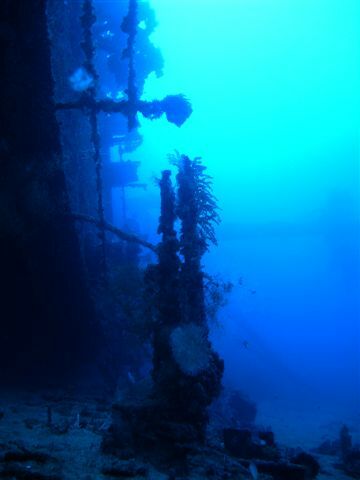 The wreck also recieves visits from marine life such as turtles and rays, and has an extensive coral garden along the top that is great place to spend a safety stop after you are finished exploring. For a detailed plan of the Tao Maru site and its features, click on low resolution (38K) or high resolution (122K). These maps will open in a new window, which you can close when you've finished with them. 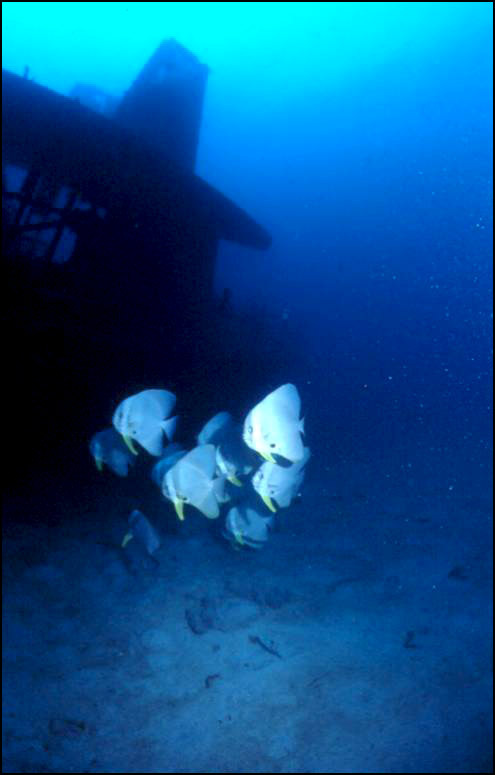 Named after its self proclaimed builder, Joe Bruno, Joe claims to have built this reef prior to starting work with Dive Gizo in 1985. He truly out did himself here, with a spectacular wall dive starting in the sandy shallows of a small bay, the wall starts in just 1 M of water, but continues as a steep wall running around the island with depths over 60 M. This dive has a gentle current allowing novice and experinced divers to enjoy a gentle drift dive along the wall. Joe's Wall is known for having large numbers of nudibranch some reaching sizes of over 12 CM. This is definatly a Macro dive, and a good one to take it slow and enjoy all of the small things hidden among the fan corals and nooks in the wall. Named for a hidden ridge at about 40M, divers head out over this and can catch a glimpse of large sharks, rays, and other fish swimming up from the ocean's depths. Continue on a nice drift dive along a reef covered with sea whips, fans, and nudibranchs. 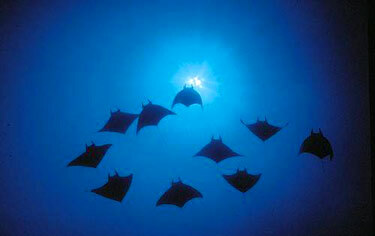 Divers here always have a good chance of seeing some spotted eagle rays who swim along the passage here. If its underwater action you need then this is the place. 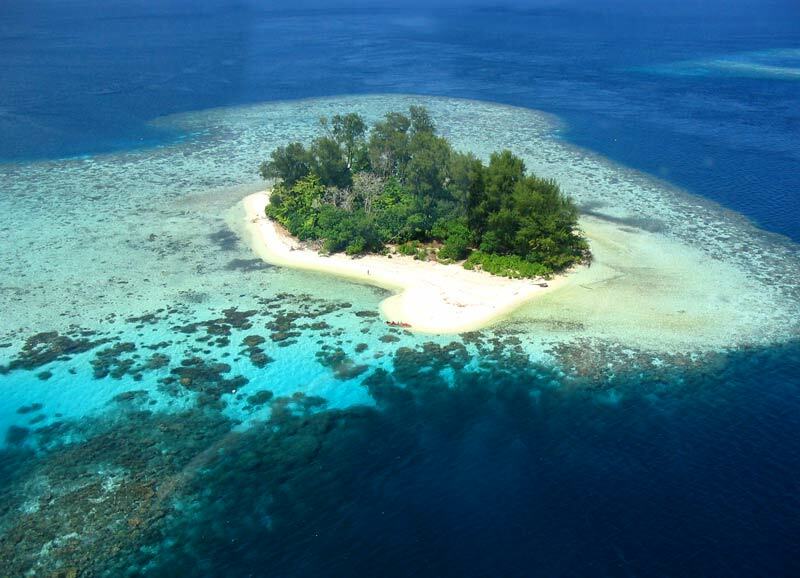 The most north-western tip of the Gizo islands is the merge point for oceanic currents and it's here where the fishlife, big and small, is at it's best. 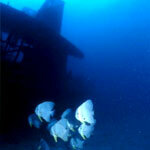 In the big currents the waters are patrolled by sharks, trevally and batfish. 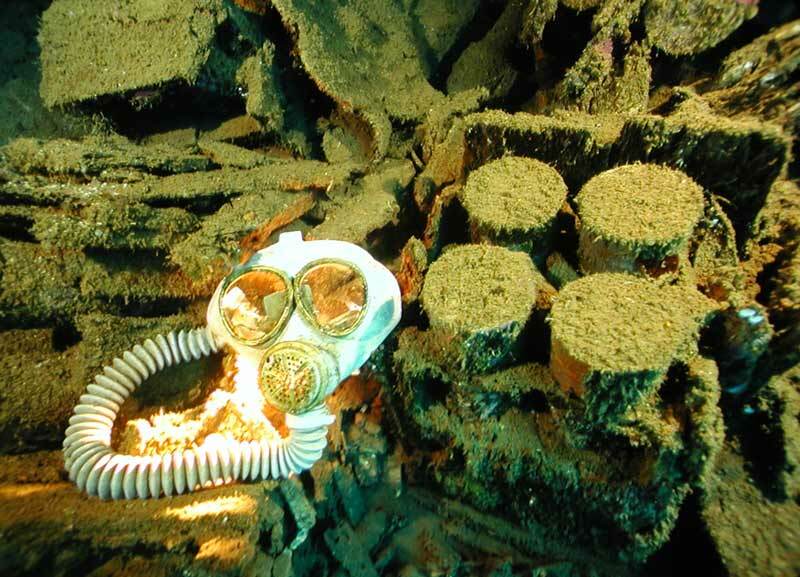 A relatively easy dive for all levels of experience and there is no need to go deep to see all the activity. This site is known for having the second highest fish count in the world, with over 270 different species of fish identified in a single tank dive! The dive starts after lunch on Njari Island, starting just 20 M off the shore, making it easy access for both snorklers and divers. 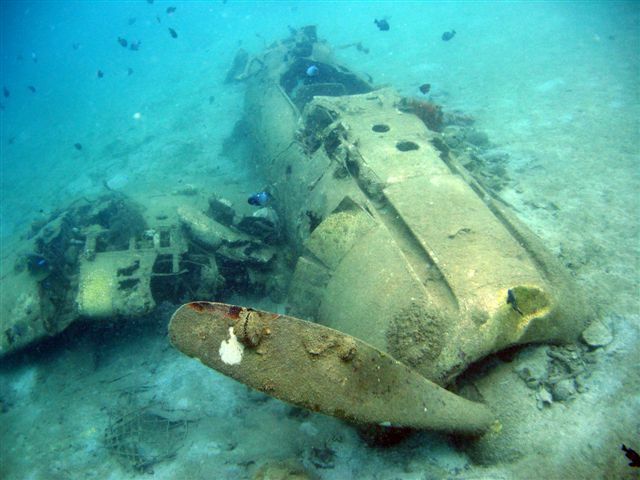 The plane is completely intact and lying in ten metres of water. 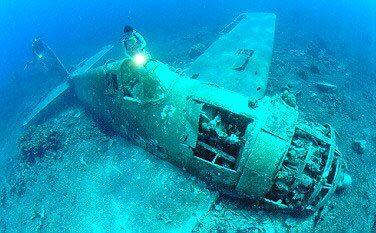 A comprehensive history of the plane is available and the dive is high on the list for underwater photographers. This plane is one of the most photogenic in the area, and lies in a shallow lagoon allowing plenty of light. 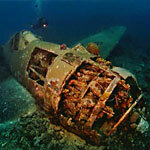 Both snorklers and divers will be delighted by a visit here. 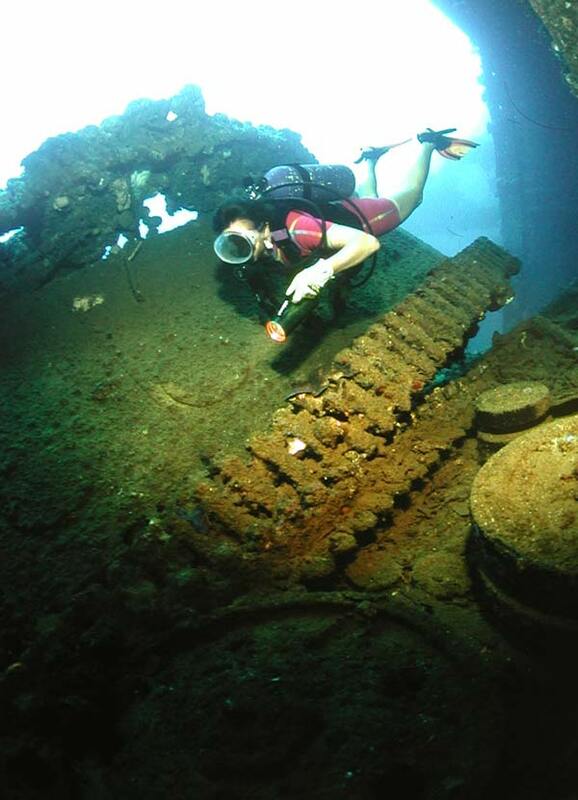 This is usually a complimentary dive when booking multiple days of diving. The pilot of this plane crashed into the sea at great speed and the aircraft is in five large pieces around the 27 metre level. 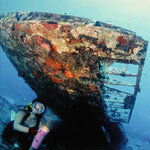 However the attraction is not only the wreck but the fantastic marine life on or around it. The reef slope back to the boat is interesting and has its own attraction in a bommie called clown fish city at the safety stop level. Or Kennedy Island as it is known as, was named after the late US President who captained the PT109 during the Pacific War. 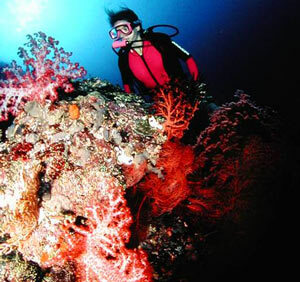 This dive site offers shallow coral reefs for novice divers, and a drift dive on the opposite side. Open Water Diver training is conducted off the beach here, leading into a wonderful coral reef whith lots to find both snorkeling and diving. For the devoted drift divers this can clock up to 1.2 kilometres. Start at the beach and watch the reef glide by on an armchair ride to a coral reef delight. This dive starts by dropping over a ledge at 30 M, passing by large fan corals, and keeping an eye on the blue water for passing manta and eagle rays. It finishes by slowly climbing up the wall to find some nudibranchs as you finish your dive in the smooth lagoon. 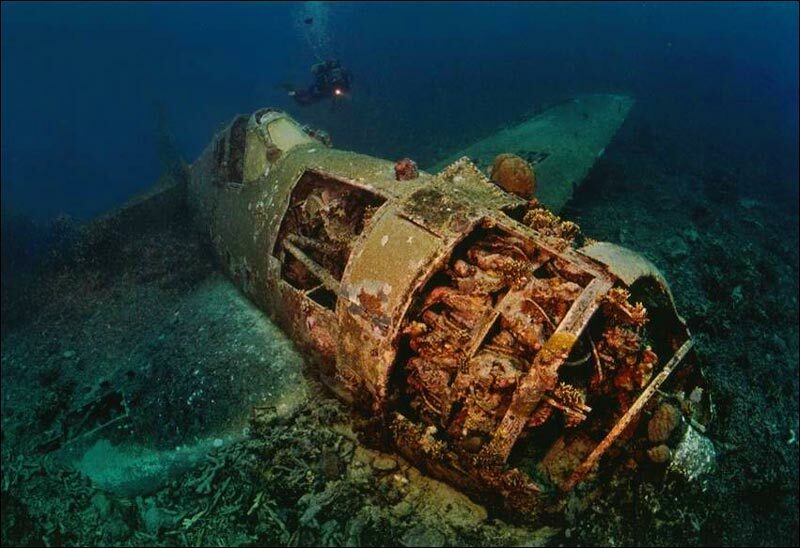 The ultimate drift dive. Drop down on the outside of Naru Wall and drift through the schools of fish that welcome you into the Gizo lagoon.Well Know for its fish action! Commonly seen here are large schools of barracuda, big eyed trevally, reef sharks, and large schools of fish all together to feed in the currents. The Gap is covered with large sea fans and gorgonians, and starts off at 30 M, but divers still average one hour bottom times, as they glide along the wall and slowly ascend, ending the dive with a safety stop in the reef shallows. This dive site would have to be one of the most beautiful reefs in the Gizo area. 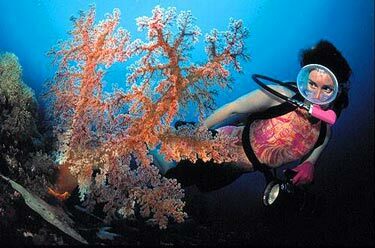 Multitudes of hard and soft corals, large gorgonian sea fans and multitudes of reef fish. What you might not have seen at the Gap my be waiting for you inside Gizo Lagoon here at One Tree. 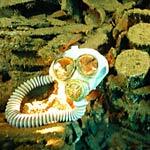 This small pinnacle, one of our discoveries in 1995, comes up to 5m from the oceans depths of 300-400m. On the swing of the tide, pelagic's come into feed on the shoals of bait fish that congregate in and around this off-shore dive site. Following the earthquake and tsunami in 2007 we have lost many of our hard and soft corals on this site, but the fish have remained and always make for an interesting dive. Turtles frequent this site as they finish a long journey from the open sea looking for some fish friends to provide a gentle cleaning. 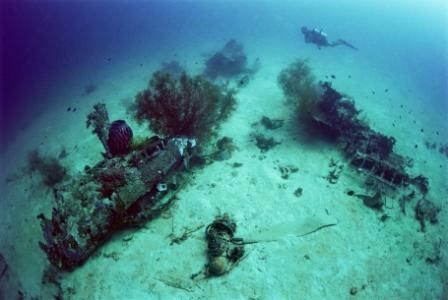 Although not originally found in Gizo Harbour, the plane still makes an interesting dive with resident lion fish. On a clear day this can easily be seen from the boat laying in only 9 M of water. 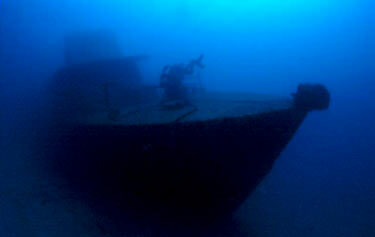 Photo's of the wreck of Petaj. The yellow corner is an extension of Naru Wall. As you drift to the south along the wall, a large knoll extends out into the deeper water. This knoll is covered with small yellow soft corals. Out of all the dive sites we dive, this is the only one that features these iridescent yellow corals. For the more experienced diver, when the current is running. This dive provides a good contrast to the other reefs, with large groups of staghorn corals, and various other species growing here, as this reef is part of the barrier reef to Gizo. 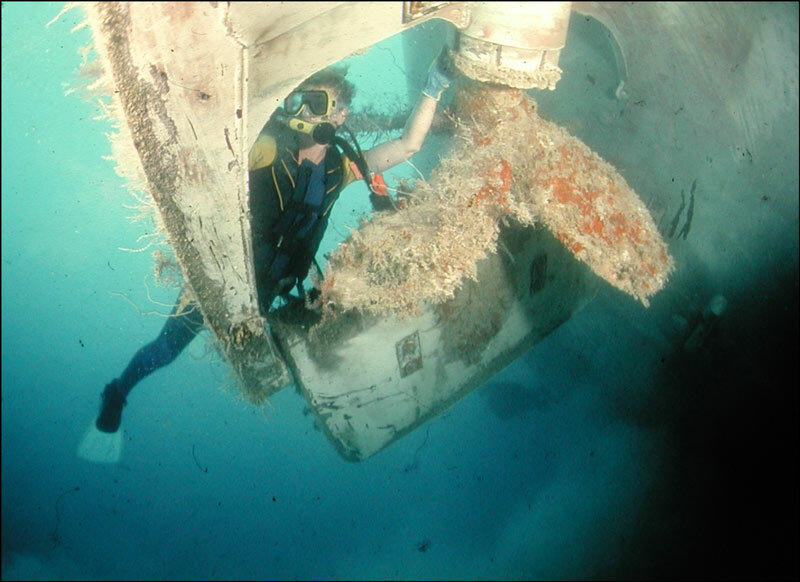 Sunk in 1988 after hitting a reef entering the Vona Vona Lagoon. 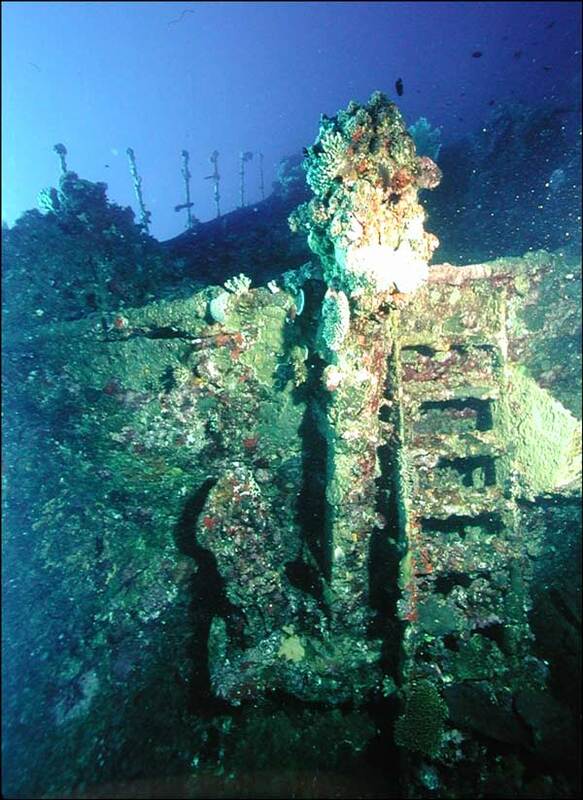 This 100' Japanese tuna fishing vessel is still completely intact with propeller and all equipment on board. 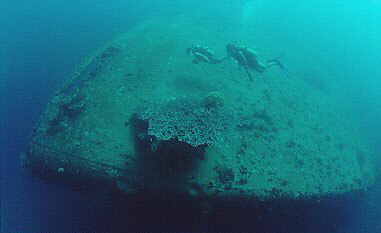 The dive site is more advanced at 140', positioned mid lagoon away from any reefs.